The Faculty of Science of the K.U.Leuven and its Alumni Association Science@Leuven are proud to announce The Science@Leuven Scholarship! Motivated and talented international students, interested in participating in an international master programme of the Faculty of Science of the K.U.Leuven are invited to apply for a scholarship. Master of Astronomy and Astrophysics, Master of Biology, Master of Molecular and Cellular Biophysics, Master of Chemistry, Master of Physics, Master of Geology, Master of Geography, Master of arithmetic and the Master of Statistics. Applications for the academic year 2011-2012 will open the 1st of December. The amount of the scholarship can be up to 8.000 Euro for 1 year. 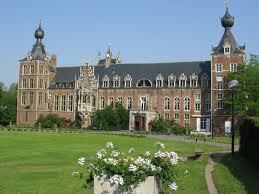 The Board of the Science@Leuven Fund will decide exactly how much a scholarship will be. The scholarship will always cover the tuition fee for 1 year, the insurance and a basic health insurance coverage. The amount awarded for living expenses can vary. Most master programmes of the Faculty of Science are 2-year programmes. A scholarship for the second master year will be only be continued for students having had outstanding results the first master year. The applicants fill out the application form of the International Office to apply for admission to the K.U.Leuven. Next to the information required by the International Office, the applicants also upload the following information: results of their former studies, a letter of motivation and two references of professors. The selection of the students take place in June 2011. Demikian kami sampaikan tentang Master Scholarship Posistion at K.U Leuven, Belgium semoga informasi tentang Master Scholarship Posistion at K.U Leuven, Belgium ini bermanfaat.